The ISOC Feasibility Study: Will the Internet Society find its way? The Internet Society (ISOC) has released a new report on expanding multistakeholder approaches for Internet governance. The feasibility study was completed by Larry Strickling and Grace Abuhamad, who each played instrumental roles around the IANA transition while at NTIA and ICANN, respectively. In this post, we provide a brief synopsis of the study and what it proposes, we then analyze the recommendations and situate them in the broader Internet governance landscape. To get at this question, the authors conducted interviews with more than 120 individuals, including civil society, business, technical experts, academia and government actors, spread across geographical regions. The list of organizations that individuals were affiliated with (including IGP) looks extremely familiar to anyone involved in Internet governance. These are organizations you would expect to support a multistakeholder governance initiative. But what about the populations not reached by their interviews? Certainly there are some where interest in establishing a new multistakeholder initiative might not exist. Understanding their concerns will be instrumental to the viability of the idea. In our view, the study is correct in recognizing demand for institutional innovation in Internet governance. That it advocates for a multistakeholder, rather than multilateral, governance structure is not surprising given the study’s funder and the participants interviewed. But the proposal fails to adequately deal with some recurring (but resolvable) operational problems in governance organizations. More importantly, we think it (and ISOC) may be underestimating the potential role for such an initiative in the larger Internet governance landscape. The authors suggest tackling “cutting edge issues of the digital economy such as privacy, cybersecurity, and the rights and responsibilities of customers and entrepreneurs” using a generic, multistakeholder platform to facilitate “discussions to develop concrete and actionable outcomes that could be implemented by the parties to the discussions”. This purposefully under-specifies what issues might be addressed by the platform and provides no clear problem statement. One can easily imagine specific issues that require all stakeholder groups to accomplish anything meaningful, e.g., attribution in cybersecurity, using the platform to foster discussion and develop actionable recommendations. But, generally, how would these issues be identified and scoped for consensus-building in this nascent platform? In other words, how would this platform set its agenda? In ICANN and the RIRs, their defined missions ensure and limit certain policy agendas there. The solution to set an agenda in this new platform would be for actors to collectively determine what issues they want to pursue, perhaps with minimal requirements to ensure that any effort meets the overall stakeholder-driven, open, transparent, and consensus-based objectives of the initiative. This would be similar to how the IGF’s workshops or ICANN’s cross community working groups operate (in their best instances). But might there be issues too controversial for some? Or what if there are multiple, competing candidate issues? One imagines some sort of gatekeeping function might emerge similar to the IGF MAG, ARIN Advisory Council, etc. to deal with selection, scoping and resource management. In this case, would the ISOC Board of Trustees, its Advisory Councils, or the actual Organizational and Chapter members “approve” issues to be explored? One needs to look no further than the early days of the IANA transition to understand how institutions themselves shape agendas for the better or worse. A closer look at how issue identification, scoping and resource allocation would be operationalized needs to happen. Speaking of scope, the initiative seeks to bring together activities already undertaken in numerous places, and does so on a relatively tiny budget. Convening stakeholders and developing and promoting “recommendations” occurs in many places, from IGF workshops to trade associations and groups like the Centre for International Governance Innovation (CIGI), the Global Conference on Cyberspace (GCCS), the Hague Center for Strategic Studies and our own Internet Governance Project. There are numerous “capacity building” efforts, from the ICANN and RIR Fellowship programs to many Schools of Internet Governance (SIGs) of varying quality. And in terms of academic research occurring in the field, the number of university-based centers and projects focused on some aspect of Internet governance has grown by leaps and bounds over the past decade. In sum, the amount of resources being applied to convening, training and research is not insignificant. It is vastly larger than the budget being proposed for this new platform. Nonetheless, such a platform makes sense for ISOC strategically. Convening and training stakeholders, as well as engaging researchers in support of new forms of Internet governance would all be consistent with ISOC’s purposes as described in its articles of incorporation. But practically, one wonders how much impact the initiative could have in the three areas of focus as proposed. In this regard, the proposal’s thinking may be too small. We are curious to see what ISOC does with the proposal. Since the completion of the IANA transition ISOC seems rudderless. It’s arguably spread over too many campaigns and initiatives and punching far below its weight. In our view, the proposed initiative should be viewed as an opportunity to renew ISOC’s purpose. Focusing energy on this proposal would be completely consistent with ISOC interests in facilitating and supporting the development, use and application of the Internet. With a little imagination one can see how it, with improved governance, deeper and direct connections to ISOC’s global membership, and more resources, might make a significant, lasting contribution to Internet governance. It (and ISOC) could serve as an exemplar of a stakeholder-driven, open, transparent, and consensus-based transnational decision making, providing much needed ongoing operational support to develop answers to pressing issues that originate within the organization’s membership and elsewhere. These answers could then be implemented in various market, networked and hierarchical governance structures. What would need to be sorted out is how to effectively prevent ISOC from being susceptible to conflicts of interest (ISOC does receive the bulk of its revenue from PIR’s operation of the .org TLD) and remain focused on developing independent, credible principles, norms and recommendations to be applied in any governance structure. For instance, could ISOC offer unbiased, effective support for doing competition analysis of Internet-based name systems? Similarly, ISOC support for a robust, interdisciplinary research agenda and data driven analysis, should be directly focused on transnational governance solutions and less interested in promoting any specific governance structure. A non state-actor based “multistakeholder model” is appropriate for Internet governance primarily because it is non-national or transnational and not because it is multistakeholder per se. 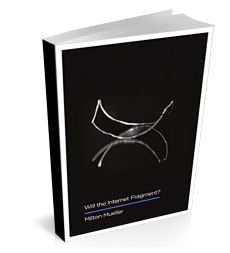 Together, a reinvigorated and refocused ISOC could be a formidable institutional component of global Internet governance, transcending domestic borders and coalescing stakeholders in what my colleague Milton Mueller called a “global Internet polity” in Will the Internet Fragment? This polity, or associative cluster of organizations and individuals around the platform operated by ISOC, would bring existing and new stakeholders into discourse, realigning them to conform not with domestic political economies but transnationally. In so doing, ISOC could alter the demand structure for policies, and have lasting impact on the global political economy of communication and information. We encourage you to comment on the proposal. ISOC is accepting the submission of your ideas at multistakeholder@isoc.org. Let us take the issue of (Telecom/Broadcasting) Internet Shutdowns which is about Government’s trying to stop Free Speech from creating more mayhem. I support a multi-stakeholders governance of Internet if it is Rule-Of-Law based. This is same as some “Internet Parliament” passing machine understandable laws that are respected by ISP’s of specific or entire jurisdiction. Ultimately Internet is Free Speech and Free Speech is governed in different jurisdictions by different laws. A Global Parliament can be the infrastructure on which local jurisdictional governments can pass laws to regulate Internet. In this every nation has its sovereignty . The US Congress can pass laws to this Parliament to regulate ISP’s in its jurisdictions. Think of Global Parliament as a Wiki/GitHub of Telecom Internet law(governing free speech) which every ISP will work under. Governments (like Congress) will have ability to govern the ISP’s of their jurisdiction via their administration. But it is always best to govern free speech with open laws published to global parliament.